How do you celebrate Valentine’s Day? For George W. Gale Ferris Jr. this was also his birthday, and since he’s credited with inventing the Ferris Wheel this day has also become National Ferris Wheel Day. There is no question that the idea of a Ferris Wheel sparks images of romance in your mind. Young love on a midway sounds like the title of a song doesn’t it? At Chance Rides we’ve been manufacturing wheels since 1988. First with our 90′ Giant Wheel, then we introduced the smaller 63′ Century Wheel in 1963. These wheels are some of the most prolific wheels around the country. Most midways in America feature at least one Chance Rides wheel along with many of the regional amusement parks in the world. These Chance Rides wheels have made history as well. 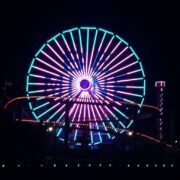 In 2008, the Giant Wheel on the Santa Monica Pier at Pacific Park was sold on eBay. Pacific Park installed a new Chance Rides Giant Wheel with a solar element and their original wheel is now the central element of the Wheeler District in Oklahoma City, OK. The wheel at Pacific Park is considered the most photograph wheel in all of North America. It is frequently featured as a back drop in commercials, movies and television due in large part to its location in California. We were also granted the opportunity to construct the first wheel to ever be erected at a professional baseball venue. In 2013, Modern Woodmen Park, the home of the Quad Cities River Bandits, was voted as the “Best Minor League Ballpark” in the 10Best Readers’ Choice Travel Awards. 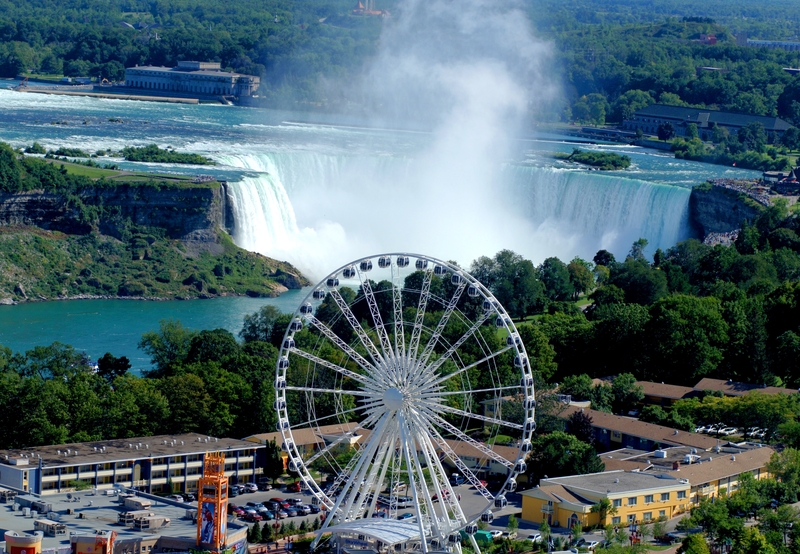 In 2006 we installed our first observation wheel at Clifton Hill in Niagara Falls, ON. We have since installed 4 others in Myrtle Beach, SC, Seattle, WA, Pigeon Forge, TN, and National Harbor, MD. And we have 1 more wheel that will be installed some time in 2019. These wheels are nearly 200 ft tall and are equipped with climate controlled gondolas that give the riders a full 360 degree view of the surroundings. These wheels are most similar to the original concept developed by Mr. Ferris for the 1893 World’s Columbian Exposition. They are as much a wonderful experience to ride as they are an icon for the location where they exist. 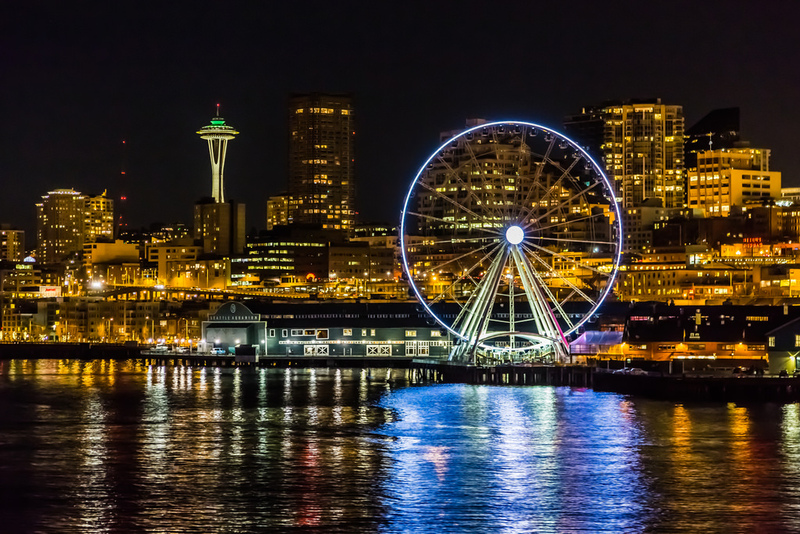 In Seattle the Great Wheel on Pier 57 has been credited with completely revitalizing that area of the city. They are at an annual ridership each year of over 1 million people. On this day of celebration of love we very happy to celebrate #NationalFerrisWheelDay! Chance Rides is so proud to create these beautiful iconic pieces around our country.